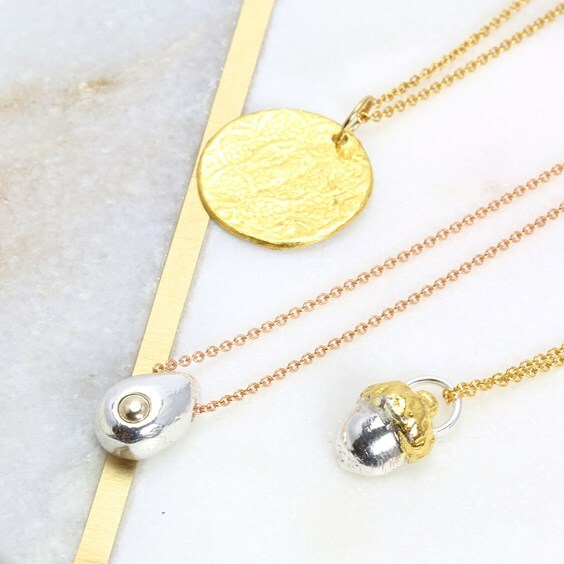 We are thrilled to introduce you to a wonderful Kernowcraft supporter, Jessica Rose, the talented jeweller and entrepreneur behind London Jewellery School and Jewellers Academy. 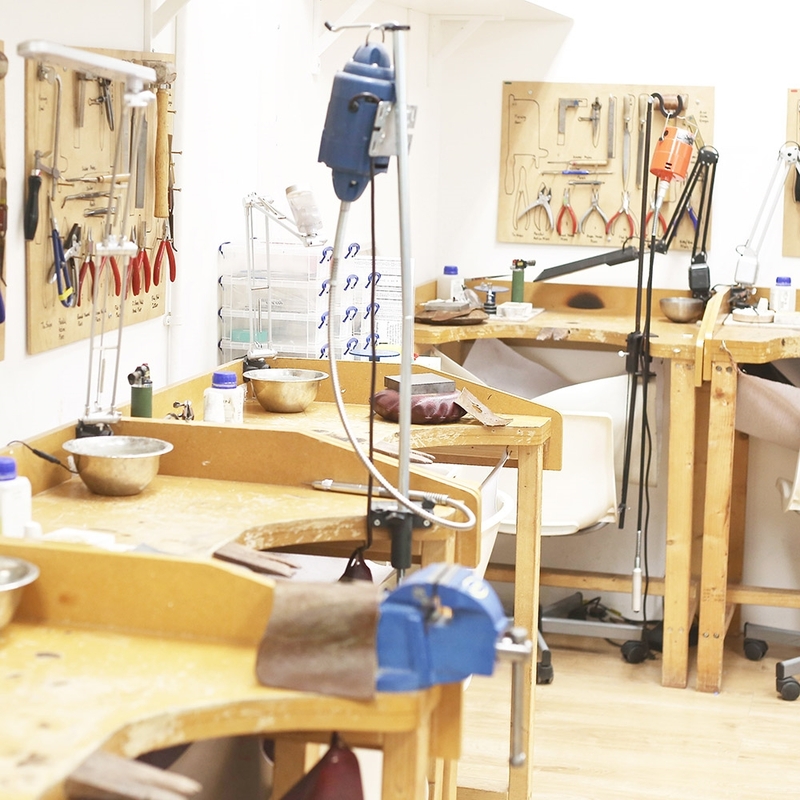 London Jewellery School is Europe's largest jewellery training centre, based in Hatton Garden. Jess has world class tutors, offering jewellery workshops and courses for beginners through to professional jewellers. 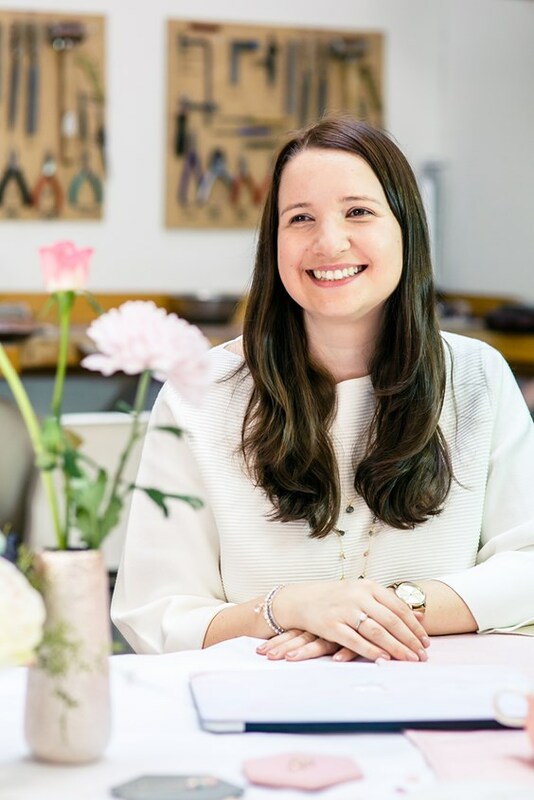 After discovering the need for online courses, Jess also founded Jewellers Academy, offering professional online jewellery courses and advice to help you create a successful jewellery business in your own time and in the comforts of your own home. With so many people busy with work, commitments or living in rural locations, it can be hard to attend sessions or enrol in courses and Jewellers Academy makes it possible! 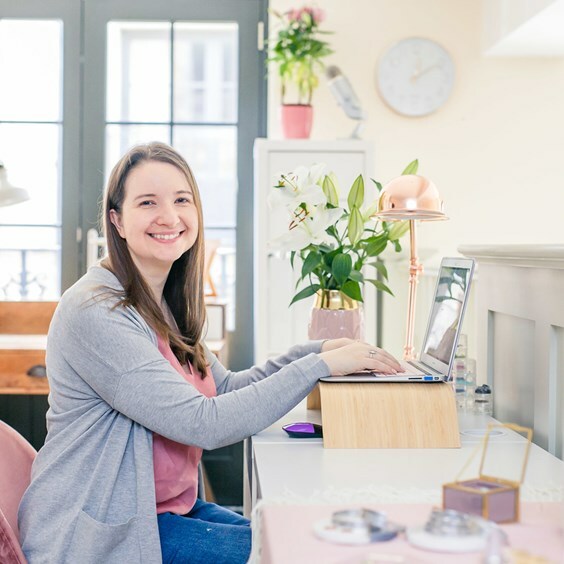 In this interview, we find out more about Jessica's background, how she stumbled into jewellery making, how she manages two businesses as a working mum and how you can build your own handmade business with her help. 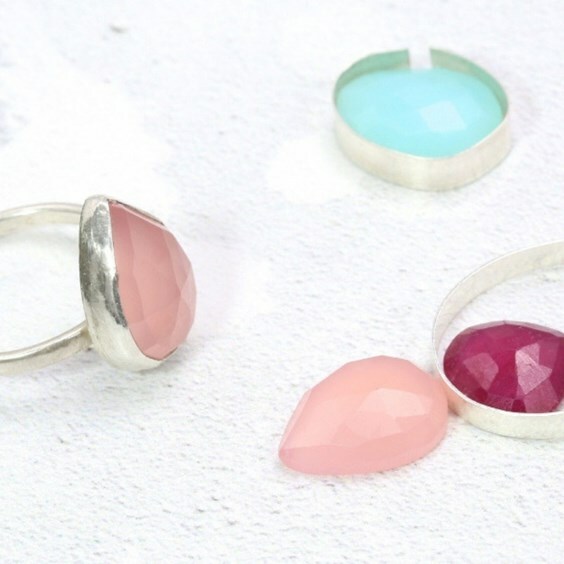 We also hear why Jess chooses Kernowcraft for gemstones and jewellery making supplies! Read more interviews in our 'Meet The Jeweller' series here. 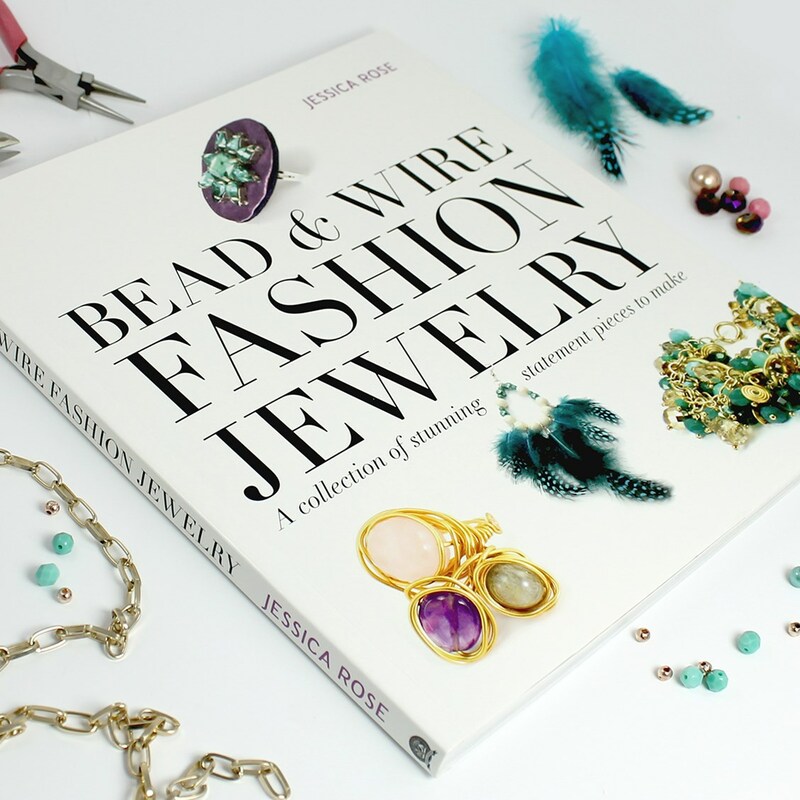 Hi Jessica, tell us how your jewellery making journey started! Hello! Yes it was about 12 years ago now, I had just quit my job and my uni course and was looking for a venture to start as it seemed that was more my thing. Then stumbled upon jewellery making! And decided pretty much straight away I was going to be a jewellery designer so booked on to a beginners beading class and was hooked. Like many of us who love making I went on to do a bunch of courses in silversmithing, metal clay and pretty much every jewellery technique you can imagine before selling my work and starting the London Jewellery School. I loved making and doing courses to learn new skills but struggled to find courses that suited what I wanted to learn. I really started teaching as a side-line to my jewellery business but loved it so much that it soon became my main focus. The London Jewellery Schools ethos is that ‘Everyone can Make Jewellery’ and we look to take people from beginners through to professional jewellers with practical, intense hands-on courses. I am quite impatient so like to learn intensely which is why many of our courses are jam-packed with projects and techniques so that students can leave with new skills to hone at home after the session. 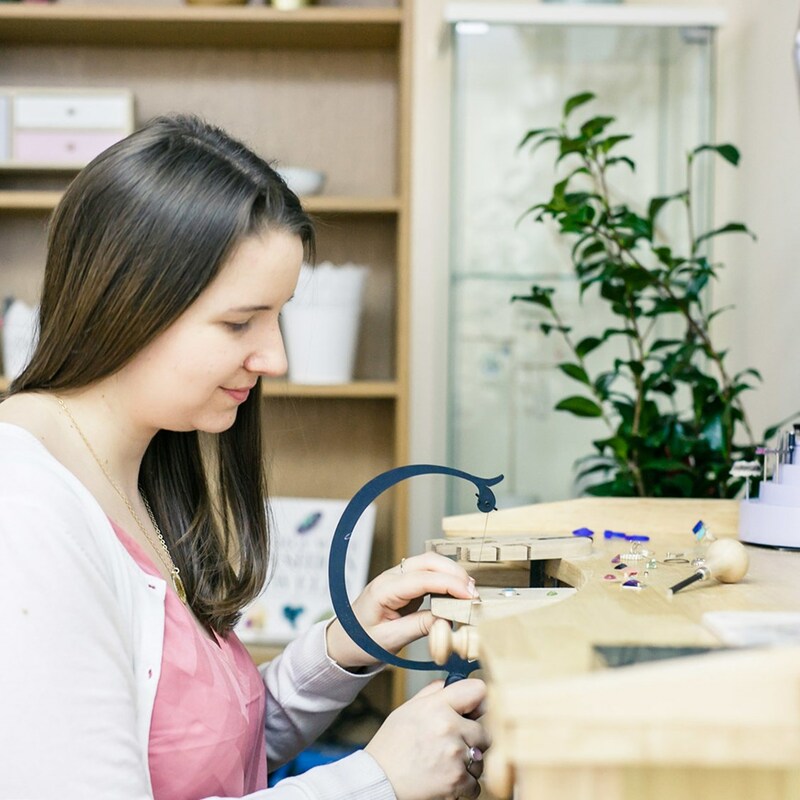 "I am particularly passionate about supporting jewellers to start and grow jewellery businesses..."
What do you enjoy most about teaching jewellery making? Watching students progress and create amazing work. I am particularly passionate about supporting jewellers to start and grow jewellery businesses and I love teaching the business side of things, seeing students put the work in and get the results in building sustainable, profitable businesses that become their career. There is no greater joy than that! How many tutors do you have at your jewellery school? It varies, usually between 15-25 depending on which courses we are teaching and what is happening in their careers and businesses. All of them are amazing (of course) and have different skills. They are usually jewellers in their own right and teach with us part-time which gives them great industry knowledge to share with students. It is wonderful to work with such talented designers and teachers. Many jewellers love the social aspect of jewellery courses, what can people expect from one of your courses? I couldn’t agree with this more. It is not just about the making, but making connections, friends and networking in the industry. At LJS we are like a family, the students, tutors and staff are all super friendly and I think there is a real atmosphere of sharing, giving and learning which is just infectious. Students can expect to be welcomed into a creative environment where there is no such thing as a silly question and whatever walk of life they are from, the can learn and grow. Plus there are biscuits! Like... Really yummy biscuits. You published your own book on bead & wire jewellery in 2014, what was this experience like? It was such fun. A learning curve and really interesting to see how the process of creating a jewellery book takes place. I loved working with GMC on creating projects and seeing how it came to life at the end was a joy. There is nothing quite like that feeling of holding your own book in your hand. I have another I would like to write soon, it’s just finding the time. 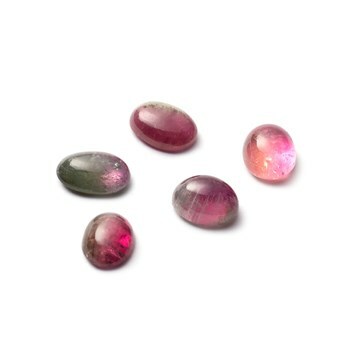 Do you think it’s important for jewellers to continue learning throughout the jewellery making journey? Definitely, we are all always learning. Myself included, this year I have already done 3-4 courses in jewellery and business techniques and have plans for more. Learning not only inspires us and keeps fresh ideas coming into our business but it also gives the updated practical skills needed to grow in an ever-changing market place. How do you keep up to date with current jewellery trends and news? I subscribe to Benchpeg, Professional Jeweller and a few other industry newsletters. I am also incredibly lucky to have a fantastic staff team both at LJS and JA who keep me up to date with what we need to know and how we can best serve and help our students. 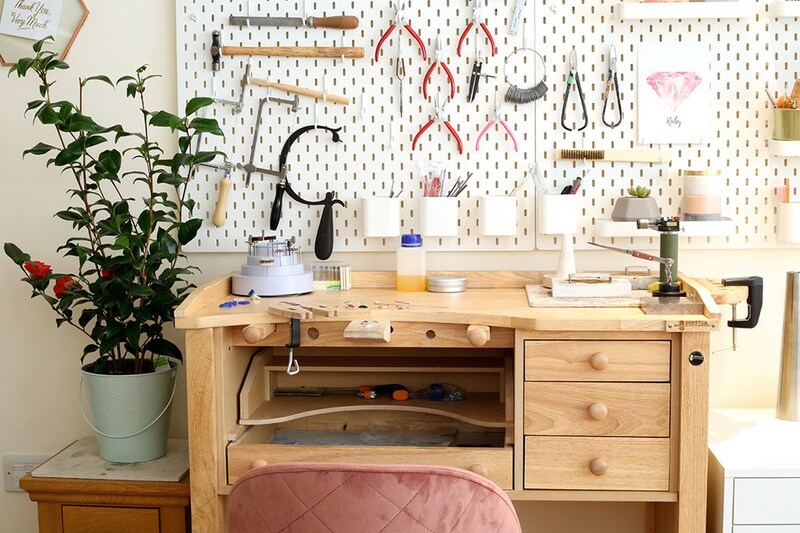 What has been your biggest challenge in running your own jewellery school? Gosh there have been a lot. Probably property, we are based in Central London and rents are very high, we have moved 5 times in less than 10 years which takes a real strain on the business. But it is a labour of love and many people have grown to love the jewellery school, it makes a real difference in peoples lives so it is all worth the hard work at the end of the day. Aquamarine – it is my birthstone and I love blue as a colour. Very calming. It is also statistically one of the most sold gemstones so any jewellers out there thinking what to make, aquamarine jewellery flies off the shelves! Although I wouldn’t complain about a diamond and am generally gemstone obsessed so could also answer ALL OF THEM! You also run Jewellers Academy, filled with online courses - tell us more about how this started. I love Jewellers Academy. This is my membership site for jewellers helping them to run incredible jewellery businesses (with profit and passion) as well as developing their making skills. It came about over years of students at LJS asking for online courses and seeing a real need in the industry for supporting designers to make a profit. 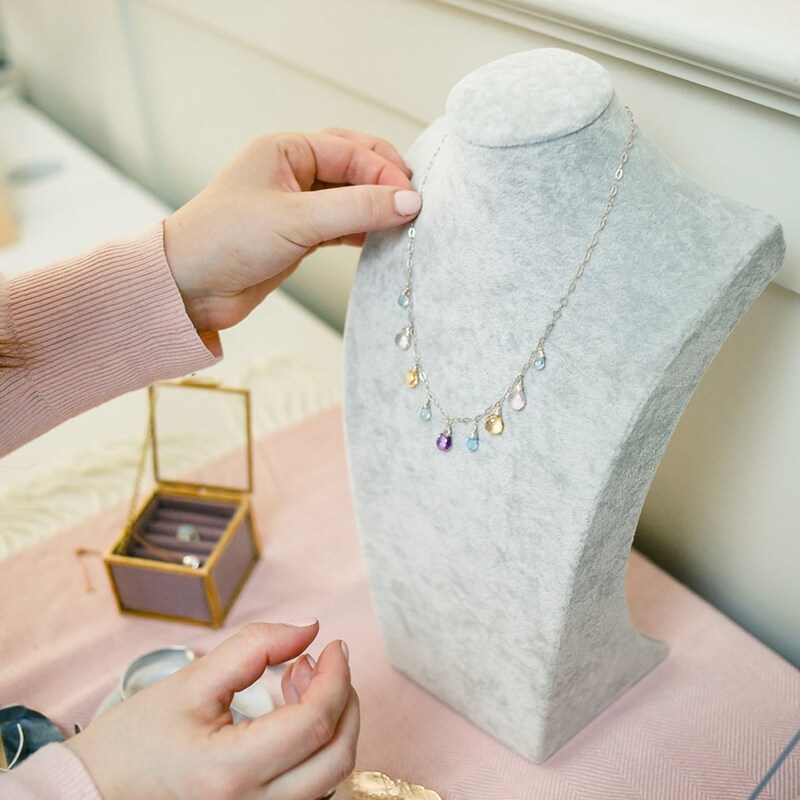 Knowing it can be done is always half the battle and then learning the practical side of running a business and how to sell jewellery effectively so that you can keep doing what you love. It is incredibly rewarding to see the jewellers we work with grow and thrive as part of the community. What can people expect from enrolling in one of your online courses? A lot! We always pack as much as we can in, cover in great detail the technique being taught or the jewellery business topic. 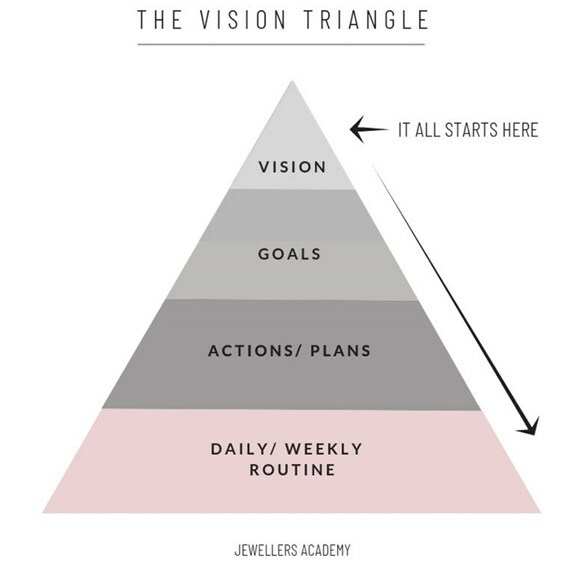 As a member of Jewellers Academy you get access to all of the courses we create which is over 30 now including the intensive 8 week Jewellery Business Bootcamp which is like a mini MBA in jewellery business. Students get access to pre-recorded videos that they can watch anytime, a set of downloadable course notes with all the info they need and in the membership Facebook group can ask anything and get support from tutors and other jewellers. We also have monthly live masterclasses with expert speakers and live Q&A sessions. Most members say there is so much they can’t do it all, but can dip in and out to find what is most useful for them at the time. What’s one tool you couldn’t be without and why? Ooo I love the new greenlion saw frame. It’s an investment I know but such a dream to saw with. Why do you think online jewellery courses have become so popular? Not everyone has access to an in-person course. Some live in remote areas or have access needs that make it hard for them. We are all much more used to learning things online these days and better at communicating online too so to have a whole wealth of knowledge from expert jewellers at your fingertips is priceless. Are your courses easy to fit into a busy schedule? Yes, we know life happens so make everything available to watch anytime. Even the live components can be caught up on later on as a replay. You must be so busy! Do you have much time to make your own jewellery and what’s your favourite design to make? Ha, yes all of that does keep me busy! Especially with a toddler in tow. But I do like to make in the evenings some times as as way to relax. My favourite technique at the moment is stone setting. 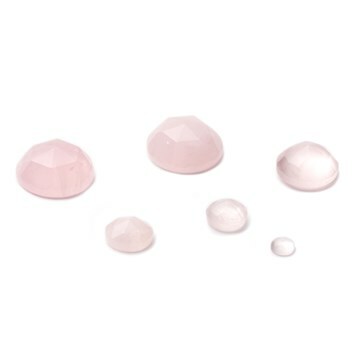 Setting rose-cut cabs or other fancy-shaped gemstones. I am aways trying new things which is just part of the joy of jewellery, we never run out of new things to try. "Life is too short to miss out on doing something you love. It won’t be easy because nothing is, but it will be worth it and you deserve to be happy..."
What advice would you give to someone wanting to start their own handmade jewellery business? Firstly just do it! It sounds obvious but half the struggle is convincing yourself it is ok and you can do it. Don’t worry if you can or can’t, just go for it and work out what you need to along the way. Life is too short to miss out on doing something you love. It won’t be easy because nothing is, but it will be worth it and you deserve to be happy. 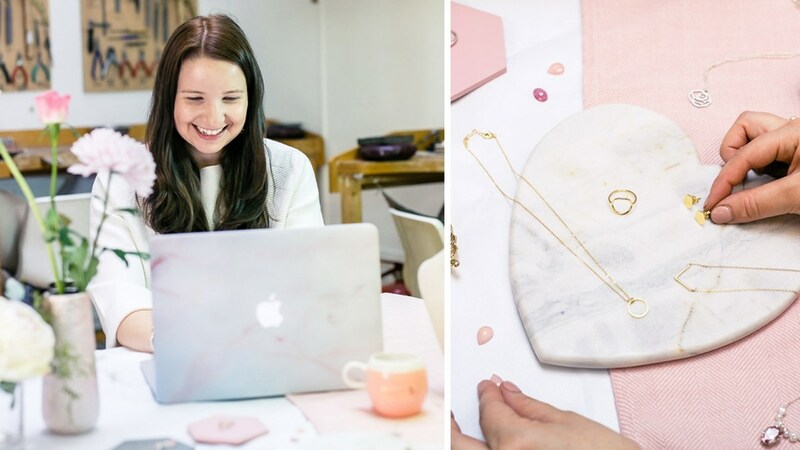 On the practical side we have a free ‘start a jewellery business online course’ which is a good place to start you can join anytime here. 4. And finally if you are overwhelmed, make a commitment to do just one thing for your new business each day, just one. In a years time that will be 365 things and will all add up to great progress. Where do you see yourself and the jewellery world in 5 years? Wow, great question. My goal in jewellery is to help as many people as possible. Wether that be through free youtube videos, professional training through JA membership, London Jewellery School courses, employing jewellers or just inspiring someone to pursue a passion they have. In the next five years I aim to keep putting out tutorials and courses online to work more closely with jewellers in business and to keep seeing what people need and doing my best to provide it. Also want to write that best-selling book at some point, but am in no rush. Business is a marathon not a sprint, the fact I get to do this for a living and work with some amazingly talented jewellers and women is a dream come true for me. Why would you recommend Kernowcraft? 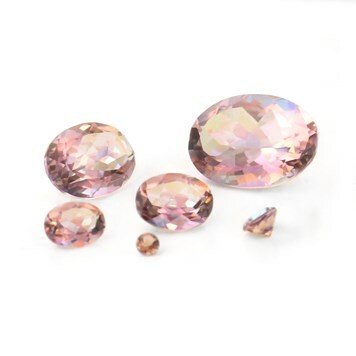 I would recommend Kernowcraft because they have amazing stock of gemstones, tools and materials that are always of great quality and the images and info on their website make it super clear what you are going to get. Plus they are the friendliest jewellery suppliers you could come across. They always go over and above to make sure you are catered for. We love working with them and recommend them to all our students. Top 3 Favourite Kernowcraft products? I love your whole rose cut selection!